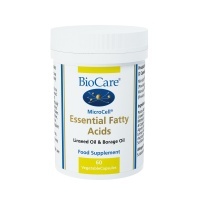 Essential fatty acids are exactly that: essential. The body can synthesize many fatty acids, but those that cannot be manufactured in adequate amounts must be obtained from the diet. 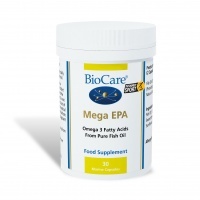 These are called essential fatty acids (EFAs). 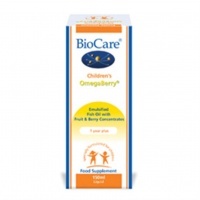 BioCare Children's OmegaBerry® is an emulsified fish oil with prebiotics, tropical fruit & berry concentrates - a great source of essential fatty acids for the whole family. 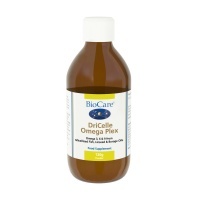 Omega-Plex provides a source of both Omega3 & Omega6 fatty acids (as fish, linseed & borage oils). Enhanced absorption. 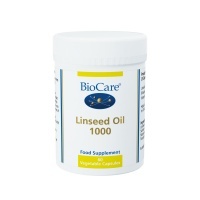 BioCare Linseed Oil 1000 is a good source of omega-3 fatty acids from cold pressed linseeds essential for many biochemical functions within the body. BioCare Mega EPA is a high potency & high quality fish oil capsule health supplement from anchovies. 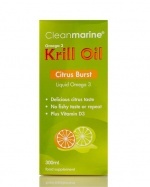 Supports foetal development (no vitamin A or D). 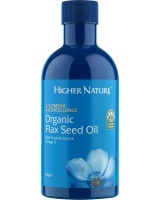 Contains Gamma linolenic acid (GLA) from Borage oil, involved in regulation of the menstrual cycle. 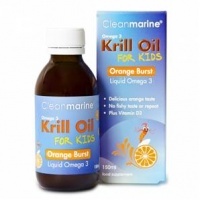 Provides omega 3 & omega 6 essential fatty acids from linseed oil & a GLA oil. Well absorbed. 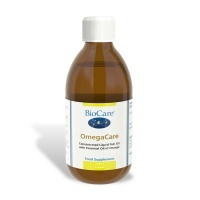 BioCare OmegaCare is a potent fish oil from anchovies & sardines flavoured with orange. 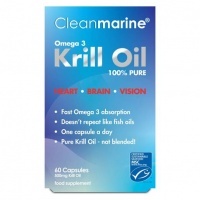 Provides EPA & DHA - important for maintaining heart health. 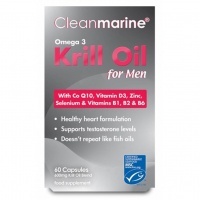 Cleanmarine Krill Oil for Men is designed to keep your heart healthy, and your testosterone levels in check. 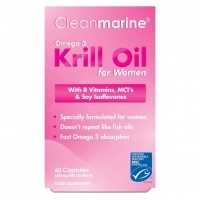 Cleanmarine Krill Oil for Women - Pure Antarctic Krill Oil health supplement for Women for PMS and Menopausal Symptoms. Hemp is unique with an almost perfectly balanced profile of Omega 3 & 6 and 9 fatty acids from cold-pressed organic hemp. 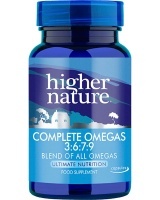 Omega 3 for heart, arteries, eyes, brain & joints. 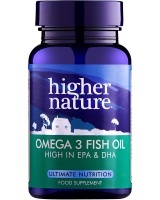 Higher Nature Omega 3 Fish Oil provides key omega 3 fatty acids, EPA & DHA, plus carotenoids & tocopherols - important for a healthy heart & arteries,brain, eyes joints. 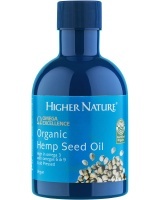 Higher Nature Organic Hemp Seed Oil - pale green, 100% Certified rich in the Omega 6 essential fatty acid, Linoleic acid - typically 45-65% - plus some Omega 3 & Omega 9. Higher Nature Starflower Oil health supplement has almost three times more GLA than the same amount of Evening Primrose Oil. 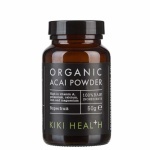 Kiki made from pure organic , raw acai berries from the Amazon rainforest. Fatty acids are classified as saturated, monosaturated or polyunsaturated – depending on the amount of hydrogen in the basic carbon chain of the molecule. (The process of ‘hydrogenation’ – hydrogenated vegetable oil – involves adding hydrogen to the molecule to make a polyunsaturated, liquid oil, into a saturated, solid oil, such as margarine). 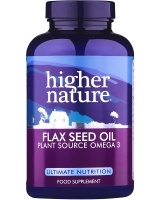 Many nutritionists and scientists report Americans consume too much omega-6 fatty acids and under-consume omega-3 fatty acids. (The terms omega-3 and omega-6 refer to the location of the first double bond in the carbon atom of the fatty acid molecule.) Including more omega-3-rich foods such as fish in the diet and decreasing the consumption of omega-6 foods such as some hydrogenated oils, may help maintain proper hormonal balance and overall health and wellness. Influence hormone production, immunity and cardiovascular health. 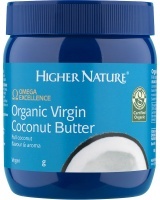 Regulate cholesterol transport, degradation and removal from the body. Influence prostaglandins – hormone-like substances that promote smooth muscle contractions, regulate blood pressure, regulate gastric secretions, and impact other hormones – through a series of enzyme-dependent reactions. 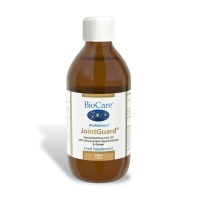 Keep skin and other tissue youthful and supple by lubricating abilities. 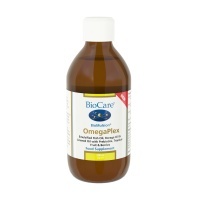 EFAs are most abundant in fish oils and unadulterated seed oils, such as canola, sunflower and safflower oils. 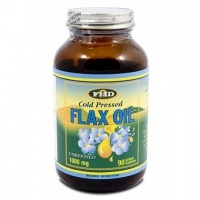 Flaxseed oil is an exceptional oil, containing both omega-3 and omega-6 in appreciable amounts. Cold saltwater fatty fish – such as herring, haddock, cod, mackerel, and salmon – are also rich in omega-3 polyunsaturates and serve as the source of fish oil supplements. 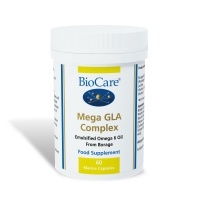 The most important fatty acids are linoleic acid, linolenic acid, gamma linolenic acid (GLA), eicosapentaenoic acid (EPA) and docosahexaenoic acid (DHA). Omega 6 and omega 3 oils may not be suitable for individuals taking anti-blood clotting drugs such as Warfarin, Coumarin and Heparin. 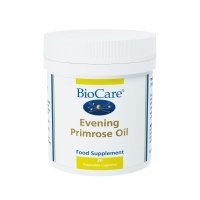 GLA (Evening Primrose Oil) may not be suitable for people suffering from epilepsy. 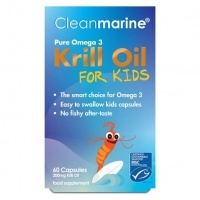 Fish oils may not be suitable for people allergic to fish.